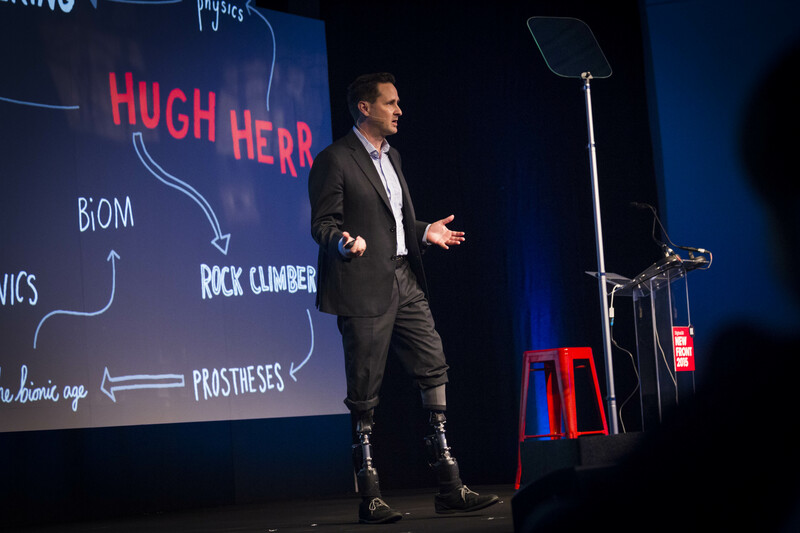 Hugh Herr, who heads the Biomechatronics research group at the MIT Media Lab and has been dubbed 'the leader of the Bionic Age', took to the stage at DigitasLBi's New Front conference to discuss the potential of a "transcendent human". Herr told the story of his transformation from double amputee after a climbing accident, to exceeding what he was previously physically capable of on the rock face. Herr was told by doctors that there were many things he would never be able to do in life, let alone ever climb again. However, 24 hours after hearing that news he decided the doctor was wrong. "Technology is not invariant; it’s being upgraded all the time. My body was completely fine, beautiful and powerful. The only hold back was technology and bad design. Technology changes and we can innovate. I climbed at a superior level after my limbs were amputated." Herr said he embraced the challenge of what his new limbs could be, thinking of a "bionic limb", rather than a fake-looking human false leg. "I can be any height I want - think Inspector Gadget. I could climb where no one had before, with three-metre legs. A few people actually said ‘you’re cheating’." Herr said it was within our capabilities to fundamentally transform the biological brain and body, extending the sensory experience. He painted a picture of using technology to enhance our bodies. "We will design nature and change nature under our own power. In the future people will be wearing robots. 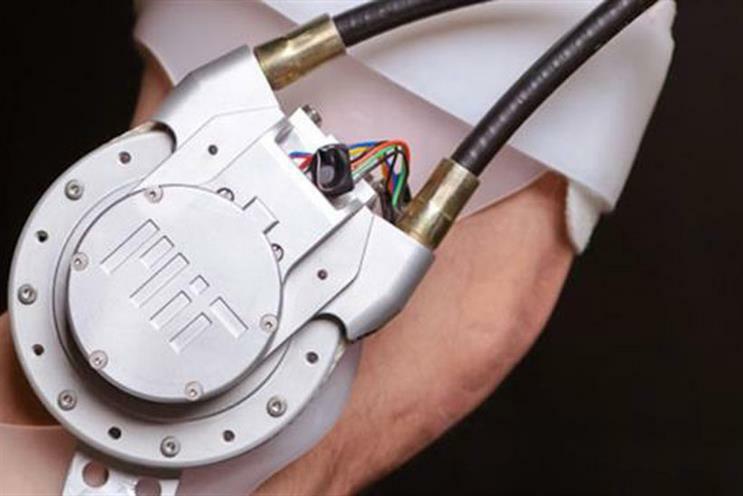 You don’t need a missing leg to exploit this technology - we will give ourselves new bodies." Herr said that in 30 year from now, everyone will be able to modify and sculpt their bodies in a way they see fit. If you look at a photo after my legs were amputated, do you see the potential for a human who will go beyond human capability? "Our bodies are plastic and malleable, our very identities are plastic and malleable. A year after I was told I was crippled, I was even more powerful and strong. "If you look at a photo of me after my legs were amputated, do you see the potential for a human who will go beyond human capability?" Herr believes that "disability will be overcome" through creativity and innovation. "You can’t, with a straight face, say that I’m disabled. With technology I am released from these shackles of disability. We will end disability in this century." Herr concluded: "In the future, humans will experience a transformation in how they sense, think, feel and move. I dream of a world without disability; I ask you to dream with me."